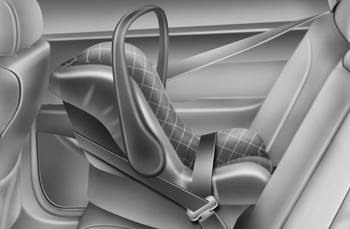 For small children and babies, the use of a child seat or infant seat is required. This child seat or infant seat should be of appropriate size for the child and should be installed in accordance with the manufacturer's instructions. For safety reasons, we recommend that the child restraint system be used in the rear seats. If the seat belt does not operate as described in this section, we recommend that the system be checked by an authorized Kia dealer. 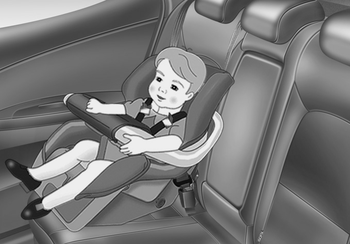 If the vehicle headrest prevents proper installation of a child seat (as described in the child seat system manual), the headrest of the respective seating position shall be readjusted or entirely removed.